Sand timers are useful as a visual representation of a finite period of time. Sometimes there are m..
Three wishes are yours… the stars align and all is as it should be. This triple star necklace is a ..
A fun new way to introduce the alphabet to pre-schoolers!Select a letter, then press it down into th.. Whether your child stacks, nests or fills these 10 colourful beakers, letting them decide makes all.. 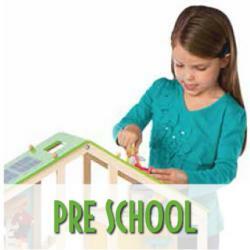 This toy will aid in the process of learning and doing, to sort things and put things away. .. The Magic Man is the ultimate acrobat with a free rolling action; he balances magically while in ..
A bobbing bath time friend with floating arms and a movable head and neck that extends in the wat.. This colourful and happy little horseman rocks back and forth encouraging fantasy play whilst sim..
Lily the Bichon is a wonderfully soft and realistic. Antics plush animals made w.. The Kiwi is New Zealand’s national icon; this mini is the perfect size for little fingers!It’s the .. This little honey eater is a charmer! It’s the perfect companion for any little one, and sure to br.. This lovely plush bunny is always a popular choice, it is designed with meticulous attention to det.. When pressed this soft and cuddly cheeky Kea makes the sound of it's unique call.It's the pe.. Curious Kiwi wants to play!Take this iconic bird home with you and make up your own adventu.. When pressed this 15cm soft and cuddly Kokako makes the sound of it's unique song.It's the p.. This Bell Bird, also known as the Korimako, soft toy makes the actual sound of the New Zealand Bell.. When pressed this soft and cuddly New Zealand Brown Kiwi makes the sound of it's unique call. .. The Pukeko Sound Bird, is a cute 15cm soft touch Pukeko with real Pukeko sound.Press this Pu.. This adorable 15cm soft touch Morepork, with real Morepork sound.The Morepork is New Zealan.. This Grey Spotted Kiwi with real sound stands 15 cm tall. See all other birds with real sound to co.. Beautifully detailed and finished with a silky soft exterior. The Tui hand puppet measures 38 cm lo..
From the Antics Wildlife Series.Very nice plush designed with meticulous attention to detai..
Gigi the Giraffe has the cutest little tufts of black fur on the tips of her horns and tail.Flopped..
What sound does a unicorn make?It makes the sound of a normal neigh combined with some twinkly soun..
More fun than a chorus of spring peepers!Get movin' and groovin' to your own fabulous freest.. Handmade Glass Cabochon Ball Chain Pendant Necklace5 Designs to choose from.Not su..
Now you can have the fun of the fairground at bath time! Attach the targets with the suckers to the..
Loads of endless play value with this 112 piece Bristle Blocks Construction set. They are great fun.. This basic building set includes 56 pieces in assorted sizes and vibrant colours for hours of ima.. Explore your backyard with the Battat Bug Examiner!Gather insects and bugs for a closer look and the.. Lights up when bounced! Bounce the days away!Boing! Boing! This bouncy ball can inflate from 38 to .. Fill your B. Owl About Waterfalls with water or sand and watch as it falls down the falls.Th.. Capture your little ones attention with this rainmaker full of multi-coloured beads.Learning to hol..
Splish’ splash outdoor bash! An epic adventure on a hot summer day, grab one of these funny squirts..
A summer time classic with a little twist! 1990’s introduced the Velcro ball toss, now it’s all abo..
Get the job done right with the best wheels in town! Recycling truck has 3 separate compartments: on..
You can write on this writepad with the included stylus or simply use your finger. When you're done.. Boogie Board Play n Trace allows kids to express their creativity and provides them with a tool to ..
ONE TRY AND THEY'LL BE HOOKED.Need a little bath-time bait?CAST is so much fun they wo.. These little creatures will keep your little one occupied and thinking right through bath time. ..
Let them play in the dirt, then put them in the bath and toss in Scrubble. They'll think it’s fun. ..
Fun just went totally tubular!If your little one is already a fan of Pipes and Cogs, then this 3-pi.. This fantastic projector torch projects amazing images of the worlds most deadly creatures onto w..
You can transform your room into a magical and colourful wonderland by projecting the beautiful r.. Projects 24 totally cool super car images onto walls and ceilingsIncludes three discs featuring 24 ..
Just in time for summer are the *NEW* Skipping Rope and Elastics combos from Britz N’ Pieces!Bright..
Guide the balls with the magnetic rod into the parking lots that match by colour, move the turning ..
Children love pretending to cook as well as cooking with Mum and Dad. What could be more fun than w.. Enjoy putting together the continents and oceans of our wonderful Earth with this 48-piece floor .. Kids just can't wait for it to rain to see all the hidden jungles animals on each panel come to lif..
Our Owls and Tree design colour changing umbrella is loved by boys and girls around the world! Watc..
Colour Changing Umbrella - RocketMajor Tom to Ground Control! Have fun in the rain with our po.. Kids just can't wait for it to rain to see all the hidden colours on each panel come to life. Once .. Finally an umbrella for all the little oceanographers out there!Kids just can't wait for it to rain..
Colour in and decorate a card for a friend or loved one.Each card features a different design so.. This Crocodile Creek 7' foot (2.1m) puzzle will go on-and-on!Kids get learn their 123’s with t..
A great first puzzle set for early learning and play! 12 self-correcting puzzles with 2 pieces ea.. Piece together this 24-piece, whimsical garden party puzzle by Crocodile Creek! Simply open the tru..
Beautifully-illustrated block set.Hours of creative play!9 piece jumbo blocks for endless fun.All Cr..
Clear the floor! This 3.3 meter, 52 piece puzzle will go on and on. Kids can learn the ABC’s which ..
48p-piece puzzle.2 in 1. It's a storage/play box and it's a puzzle!Another new innova.. Piece together this 24-piece, whimsical mermaid puzzle by Crocodile Creek! Simply open the trunk an..
Get your little one active with this enchanting Crocodile Creek playground ball with its wild ani..
Do your kids love shopping or are curious when checking out?Little shopkeepers will LOVE th..
Vroom, vroom, vroom....introducing 3 gorgeous new chunky cars from Discoveroo!Made from beech wood ..
Grandma, Grandpa, Mum, Dad and three children made from birch make up this set, which is beautifu.. Wooden Push Along Farm Set by DiscoveroOIncluded in the box; tractor, 2 trailers, pig, cow, .. Kids' imagination will fly away with this wooden Airplane.Loaded with figures this plane is ready f..
Brm! Brm! Toot toot! Beep beep!Move out of the way! Coming through!Your kids will be ra..
3 ... 2 ... 1 ... BLAST-OFF! !Let your child's imagination run wild with this adorable rocket..
Discoveroo Wooden Sort 'n Stack Truck features a semi-trailer with 14 colourful disks for sorting..
A classic style wing stacking toy with the addition of a spinning windmill on the top.Stack.. Sticker Pack Contains: animals, fantasy, numbers and letters, fairy tale characters and much more i.. This colouring velvet set from Djeco has five little scenes to colour, all featuring birds. The vel.. This Djeco Creepy Crawlies Velvet Colouring Art Kit makes learning to colour easier for younger chi.. These featherweight decors hang by a thread to beautifully brighten up your child’s room.No stickin.. Hanging by a thread, thin as paper in the air, these three adorable Stars by Djeco will brighten an.. Beautifully illustrated, Djeco Sticker Packs contain: 4 sticker sheets, a total of 160 stickers in .. This is a wonderfully illustrated jigsaw puzzle is presented in a uniquely shaped and beautifully c.. Beautifully illustrated vibrant children’s jigsaw puzzle featuring a tiger in the jungle!This lovel.. Turn your tub into a waterworks laboratory!Start by sticking the four suction cup rings to your ba..
**NEW**YES .... this a REAL CLOCK... Learning to read the time doesn't have to be tricky anymore.&nb..
eeBoos Candy Matching Game re-invents the classic memory game with yummy illustrations.24 kinds of .. Build memory and storytelling skills with this circus-inspired matching game.Twenty-four pl.. Beautifully illustrated by Lizzy Rockwell for eeBoo, Counting Bird Wall Cards make a unique, upsc..
eeBoos Robot Matching Game re-invents the classic memory game with futuristic illustrations.Played ..
60 page spiral bound sketchbooks with high quality paper, has a beautifully illustrated cover whi..
Use your imagination and create a wonderful world with the Felt Creations.Stick the felt pieces on ..
Use your imagination and create a wonderful world with the Felt Creations.Stick the felt pi..